What is Raspberry Ketone Gold? With it’s key ingredient recommended by TV’s Dr. Oz, Raspberry Ketone Gold hits the diet pill market of the United Kingdom, claiming that it is not only safe, but natural and an effective product that can have it’s users shedding off extra pounds. Sounds reputable to be recommended by a doctor. But doctors aren’t always right in their claims. Is that the case with this product? Are people spending their hard earned money on what essentially is just a placebo? We decided to look into this product and find out. Raspberry Ketone Gold is manufactured by Direct Nutrition, which has it’s offices based in the United Kingdom. Direct Nutrition produces not only weight management products, but fitness related supplements as well. 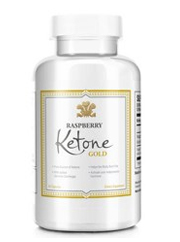 While Raspberry Ketone Gold cannot be found on the manufacturer’s website, it can be purchased from third party retailers, an example of one being Amazon.co.uk. Shown from clinical studies done on animals, raspberry ketones are claimed to increase adiponectin. Adiponectin is a protein that is known to manage glucose levels, as well as break down fatty acids. The more adiponectin there is in the body, the faster fat loss can occur. However when this was done it was to animals who were injected with raspberry ketones, which makes it questionable if taking them orally would be different. When taken by humans there wasn’t much evidence that weight loss was happening. If anything, raspberry ketones were just as effective as a placebo. It is because of this that we can say that Raspberry Ketone Gold is not an effective product. Although the main ingredient is raspberry ketone, Raspberry Ketone Gold does include other ingredients in it that are designed to help further weight loss. The company behind this product does this so as to stand out from the competition of various other raspberry ketone based products. Raspberry ketone: Although included in many diet pills, there is no real proof that this ingredient is effective in helping with weight loss. Caffeine: A commonly used ingredient in diet pills, this stimulant is used to give a boost to both energy levels and metabolism. Gelatin: Having no color or taste, this is commonly used for weight loss, as well as osteoporosis and arthritis. 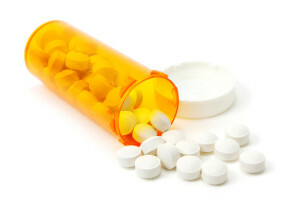 Magnesium stearate: Commonly used in supplements to make sure that capsules or pills don’t stick together, this ingredient can potentially dangerous as it may destroy cell function. Cellulose: Found in nearly all plants, this ingredient is included in supplements to lower calorie amount. 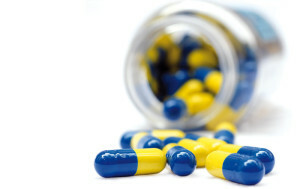 If you are interested in other all natural diet pills, check out the top 10 list. Unlike other diet pills that may be more heavily based on stimulants, this product contains relatively small amounts of caffeine. As such, this product is devoid of adverse effects that other products may have. The main problem with this product, is that it’s just not an effective means of weight loss. While raspberry ketones are used in a lot of diet pills, there is no clinical evidence to support that they do anything for weight loss. However because Dr. Oz has mentioned that it can help, this ingredient has seen a rise in popularity. But just because Dr. Oz says that this ingredient works however, doesn’t necessarily make it so. Dr. Oz has also said that there are other ingredients out there that can help with weight loss but really don’t, such as garcinia cambogia and green coffee beans. Dr. Oz has had his share of critics about the comments he makes of the products he is trying to sell. In June of 2019 he found himself in front of a Senate subcommittee in regards to the claims he has made about the products he sells. In April of 2019 doctors who also worked along side him at Columbia university asked that he resign as a position as a doctor entirely. So next time you see a product or hear about an ingredient that is endorsed by Dr. Oz, you may want to think twice about how effective it really is. Just because a diet pill can claim to be made of natural ingredients, that doesn’t necessarily mean it can actually help people lose weight. If anything, this product works just well as a placebo would. Much like mothers have told their children, you shouldn’t believe in everything that is said on television. Just because the likes of Dr. Oz have endorsed raspberry ketones as effective in the fight for weight loss, that doesn’t mean it actually is. A quick scan of the internet will reveal that there are plenty of diet pills out there that are actually effective in the claims they make. As it stands with this product, while it won’t harm you, it also won’t do anything for you. Whats better than Raspberry Ketone Gold?